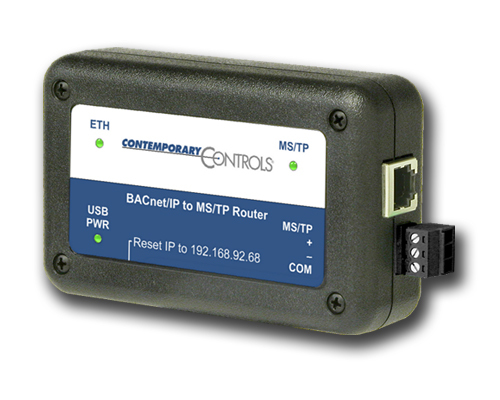 Contemporary Controls provides several BACnet routing solutions for your integration requirements. The compact and durable BASrouter provides stand-alone routing between BACnet networks such as BACnet/IP, BACnet Ethernet, and BACnet MS/TP — thereby allowing the system integrator to mix BACnet network technologies within a single BACnet internetwork. Router configuration is accomplished via web page. Diagnostic web page displays statistics about the MS/TP bus which allows the System Integrator to analyze and ensure the stability of the MS/TP network segment as well as resolve existing network issues if necessary. A Routing Table web page contains information about the network topology of the surrounding network, destination network, network status, network type, etc. — making network troubleshooting faster and easier. In addition to the standard BASrouter, the BASrouterLX accommodates more features and provides higher network performance. 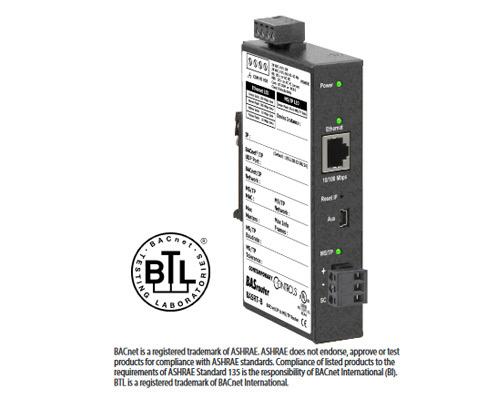 The BASrouterLX is a high-performance BACnet router with diagnostic capabilities, providing stand-alone routing between BACnet networks such as BACnet/IP, BACnet Ethernet, and BACnet MS/TP. Besides its high- speed processor, it has advanced features such as MS/TP slave proxy support (allowing auto-discovery of MS/TP slaves) and MS/TP frame capture. As a BBMD, up to 50 BDT and 147 FDR entries are supported. 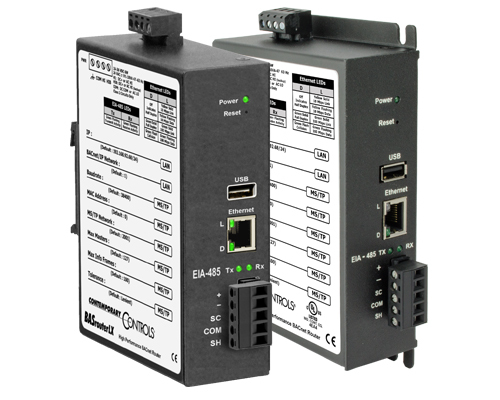 The BASrouterLX has two physical communication ports — a 10/100 Mbps BACnet/IP Ethernet port and an optically-isolated EIA-485 port for MS/TP. Router configuration is accomplished via web pages. The Portable BASrouter provides the same stand-alone routing and network diagnostics as the standard BASrouter in an even more compact case. Powered through a USB port, it could be connected to a laptop PC for fast and easy commissioning or quick network analytics. Configuration and commissioning accomplished via web page.